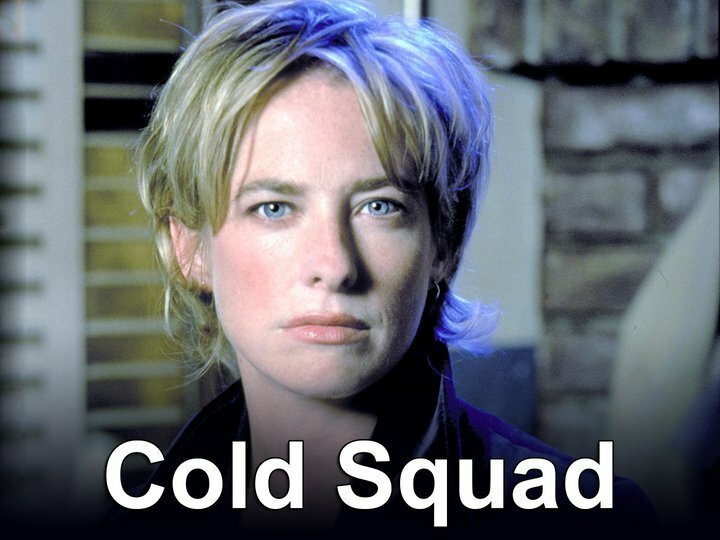 The estimable Robson Green stars in this rural whodunnit, whose exciting second season returns to P.B.S. on Sunday, March 27. Grantchester is yet again one of those smart, well-made, excellently performed British procedural cop shows, this one set in the small Cambridgeshire village of the same name, back in 1953. 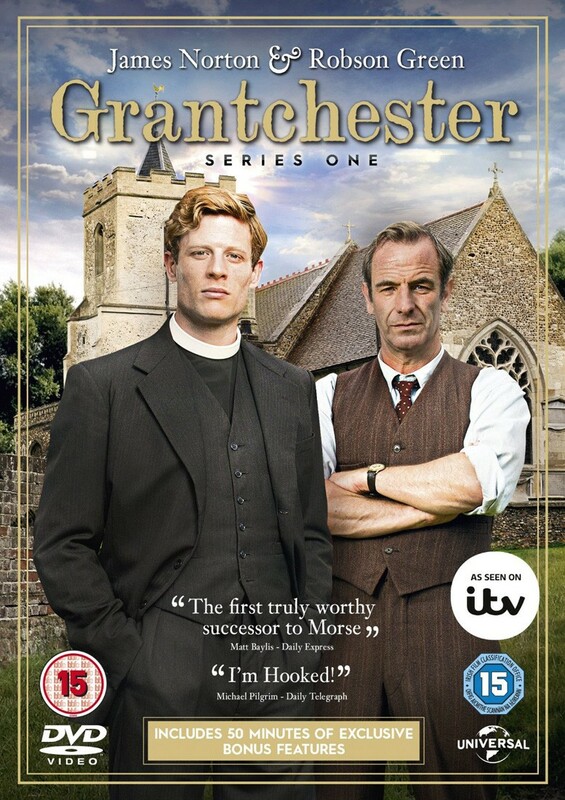 James Norton stars as Anglican priest (and former Scots Guards officer) Sidney Chambers who develops a sideline in sleuthing, with the initially reluctant help of Detective Inspector Geordie Keating (the always wonderful Robson Green). The series is based on The Grantchester Mysteries collections of short stories, written by James Runcie. His father was a WWII tank commander and later the Archbishop of Canterbury. Peaceful resistance doesn’t egg on Trump’s supporters: It forces them to back down. 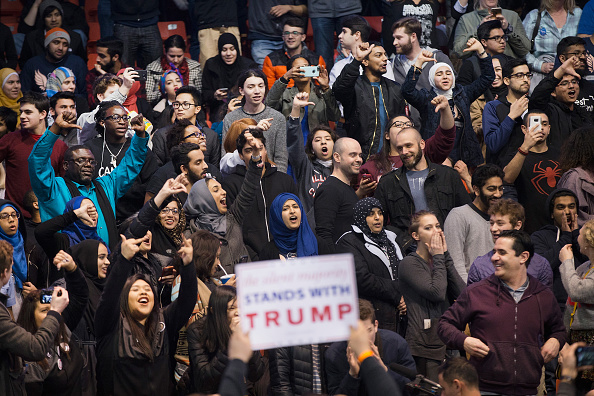 Chicago demonstrators at Trump rally in Chicago on March 11, 2016. Photo by Scott Olson / Getty Images / In These Times. CHICAGO — Something strange is happening here, and it merits a serious discussion. In the week that has passed since Chicago shut up Trump, both the mainstream and other media have seen a rush of articles criticizing not Donald Trump but the protestors who shut his rally at the University of Illinois-Chicago down, defending Trump’s First Amendment rights but not those of the demonstrators. Writers from David Moberg and Clancy Segal on the Left, to moderate Ron Grossman of the Chicago Tribune, to right-wing ideologue Charles Krauthammer strangely agree on one thing: that the anti-Trump demonstrations and “violence” will turn off American voters and move them into The Donald’s camp. 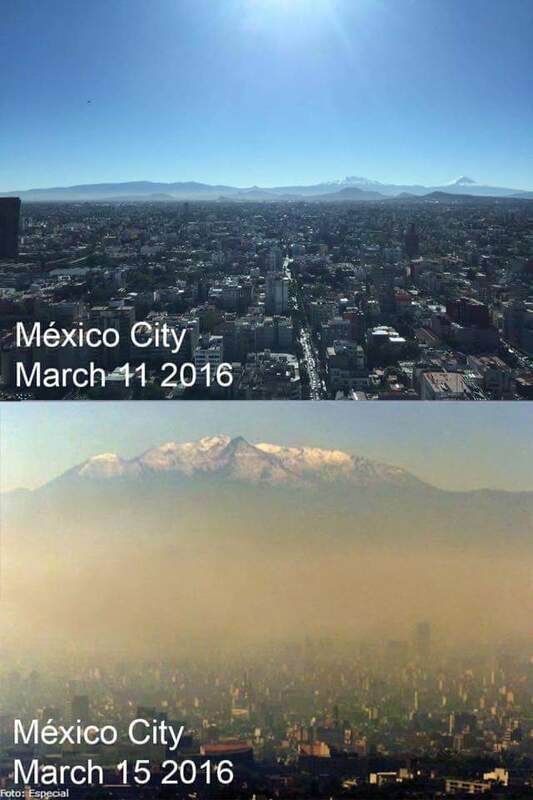 One reason: Mexico City’s 10 million people simply won’t give up their cars. March is the beginning of the hot, dry season. Leaders of the right-wing PAN political party won an injunction in July against Hoy no circula, the program that, for decades, forced certain cars to stay parked one day a week to reduce traffic and pollution. While the injunction really only forced changes in the program, city officials decided to cancel it almost completely, allowing more than 600,000 more cars per day on the road. The Zodiac begins its cycle as Lord Sun moves into Aries, sign of the Ram. 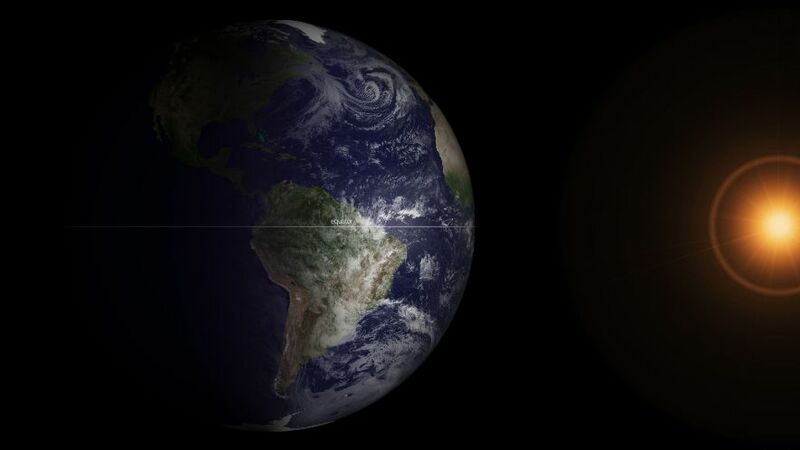 Satellite image of the Earth at the spring equinox on March 20, 2013. Image from National Oceanic and Atmospheric Administration (NOAA) / LiveScience.com. The Vernal or Spring Equinox, also known as Ostara and Lady Day, falls on Sunday, March 20, 2016. This date is also International Astrology Day, and this year it is the date of Palm Sunday. The Zodiac begins its cycle as Lord Sun moves into Aries, sign of the Ram, a Cardinal Masculine Fire sign. Use the colors pink, yellow, light green, and all pastels in your dress and decorations. Incorporate representations of eggs and rabbits as well as living plants into your decorations; Mother Earth is awakening from her winter’s nap and life begins anew. Clusters of wild flowers would also be appropriate for this season. Faced not with the threat of violence but lack of control of the message or the montage, Trump retreated. 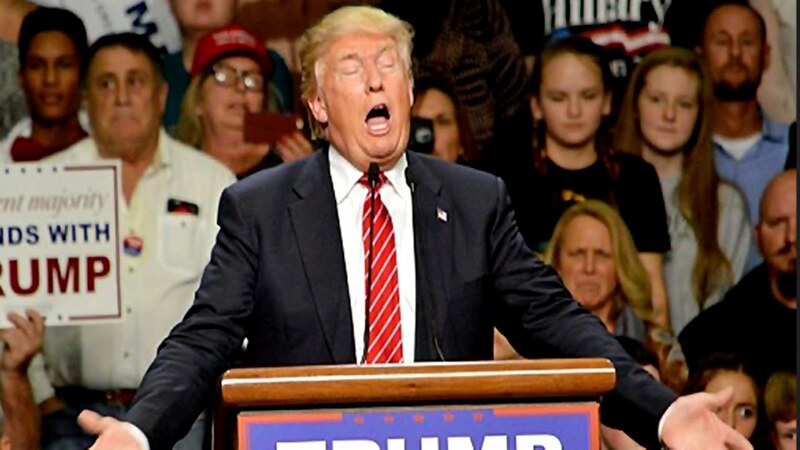 Donald Trump with mouth open. YouTube grab of video by Redsilverj / Creative Commons image. CHICAGO — Congratulations to the people of Chicago — young and old, Black, Latino, Asian and White, Muslim, Christian and Jewish. They did what neither his competitors nor the Republican Party have been able to do — still the voice and the vitriol of Donald Trump. The protestors, a loose amalgam of labor, women, immigration, students, and Black Lives Matter activists, didn’t do it through violence, or shouting. No dirty tricks — just the old fashioned way. They organized. It all began early this week with an online petition to the University of Illinois-Chicago to deny Trump the use of the publicly-supported facility on the basis that the rally posed a threat to the security and safety of students. This tactic, in turn, led to two others. First, using their extensive email lists, they encouraged us to secure tickets through Eventbrite. It ensured that opponents of Trumps’ racist, anti-choice, anti-immigrant policies and statements could secure seats in the pavilion. This is not about ‘freedom of speech.’ It is about proper tactics for confronting an enormous evil. 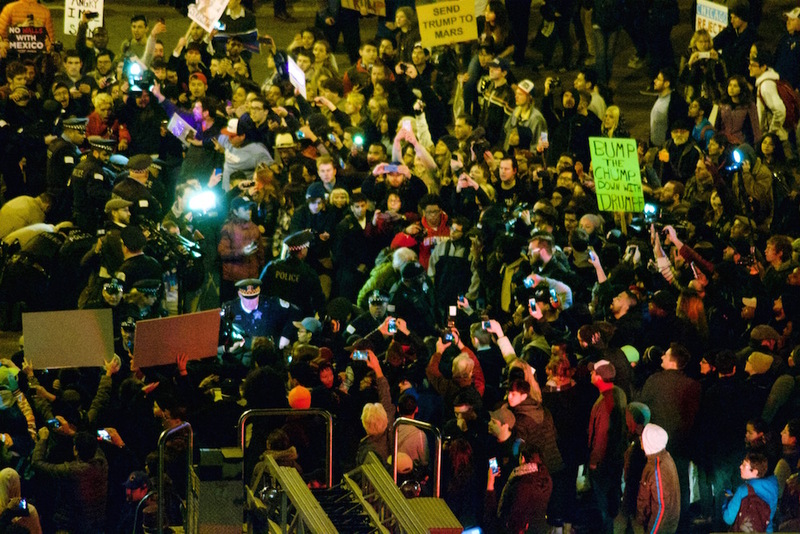 Chaos at Trump rally at UIC Pavilion, Chicago, March 11, 2016, after announcement that Donald Trump was postponing his appearance. Image from Wikimedia Commons. It is a mistake to shout down Trump and disrupt his rallies. Outside the rallies, anything goes: as we used to chant, “The streets belong to the people.” But inside, opposition to the horrific specter of Trumpism is best served by silent protest. Trump is no longer just a “threat.” He has transformed the political landscape by galvanizing a massive national constituency that thrives on racial hatred, sham phobias, and nationalistic mania. Of course, confronting Trump’s neofascist tidal wave is a moral imperative, but his ascendancy also creates the opportunity for an even greater groundswell for a progressive forward-seeking alternative. The attractiveness of that alternative runs the risk of being undermined by protest actions that alienate the average American or in any way play into the aspiring Fuhrer’s hand. The big open field suddenly rushed closer and I hit the ground with a grateful, relieved, welcome thump and tumble. 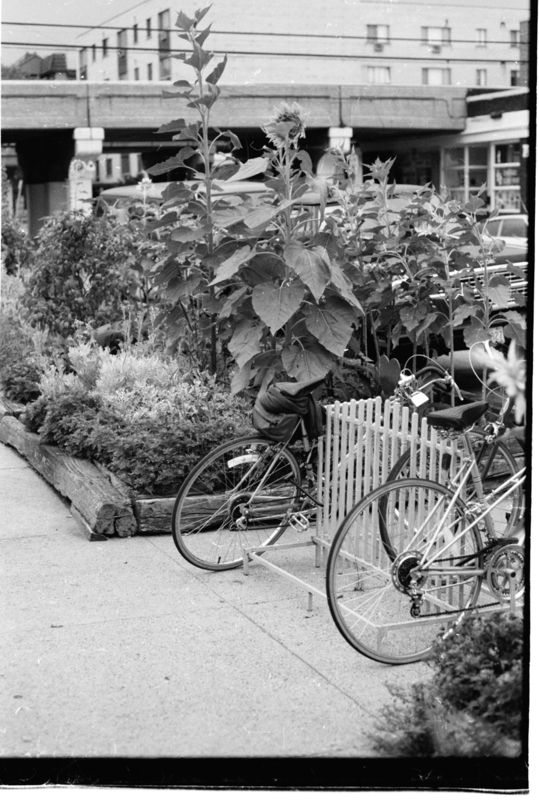 Bike rack and sunflower at the Heartland Cafe. Photos by Michael James from his forthcoming book, Michael Gaylord James’ Pictures from the Long Haul. During the late summer of 1983, I took my first and probably last leap out of an airplane. My friend Kim Cole initiated the adventure; it started with a drive to a small airstrip surrounded by cornfields near Bristol, Wisconsin. We joined a score of others donning white coveralls and paid very close attention to the instructor, Bud, as he introduced us to the details of our pending jumps from a small plane. The war against the Qaddafi regime that destroyed Libya’s social fabric was enthusiastically endorsed by Secretary of State Clinton. 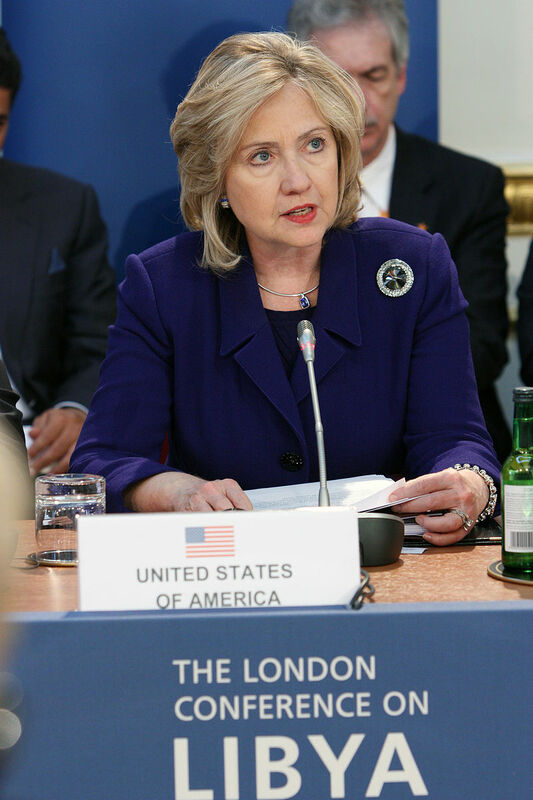 Clinton at London meeting to discuss NATO military intervention in Libya, March 29, 2011. Image from the British Foreign and Commonwealth Office / Open Government License / Wikimedia Commons. In a recent book by distinguished diplomatic historian Lloyd Gardner (Three Kings: The Rise of an American Empire in the Middle East After World War II, The New Press, 2009), the author describes the last day of the historic Yalta Conference just before the end of World War II in which the leaders of the allied powers met: President Franklin Roosevelt, Soviet leader Joseph Stalin, and British Prime Minister Winston Churchill. 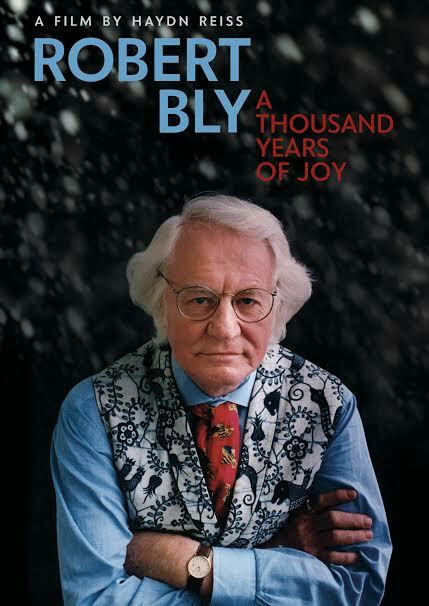 Robert Bly has made a big difference in the lives of many, bringing a contentious, creative presence into his prophetic work. Poster for Haydn Reiss’ film about the radical poet, Robert Bly. 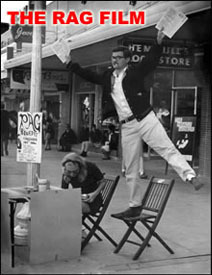 Watching the film was a trip down my memory’s lane, dating back to meeting the National Book Award-winning poet in the sixties. I was in boot camp training at Ft. Riley, Kansas, home of the Army’s First Division, the Big Red One. 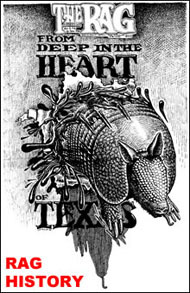 I intended to follow our family tradition, which gave our name to Ft. Bliss, Texas. I was on my way to the American War on Vietnam. The president’s low ratings reflect not only his performance but also the inability of his government to address basic problems facing the country. 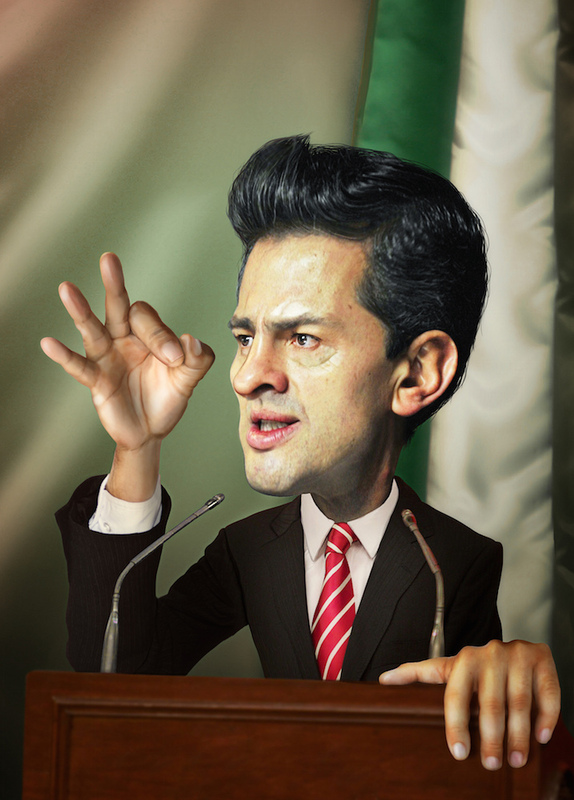 Caricature of Peña Nieto by Armando Aguayo Rivera / Flickr. Listen to the Rag Radio podcast of Thorne Dreyer’s interview with Philip Russell, who discusses issues raised in this article. 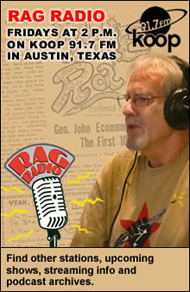 The Rag Blog‘s Alice Embree joins us in discussion of developments in Central America and Cuba. 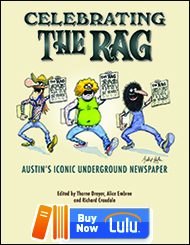 This show originally aired Friday, Jan. 8, 2016, 2-3 p.m. (CT), on KOOP 91.7-FM in Austin. 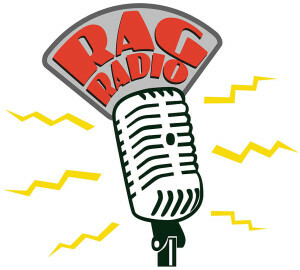 Find all podcasts and more about Rag Radio here. Read Philip Russell’s earlier Rag Blog article on Peña Nieto’s first two years, here. December 1 marked the halfway point in Mexican president Enrique Peña Nieto’s six-year term. His first year in office was by far his best. On day two of his presidency he announced the Pact for Mexico — an alliance of the center-left Party of the Democratic Revolution (PRD), the center-right National Action Party (PAN), and his own Revolutionary Institutional Party (PRI). 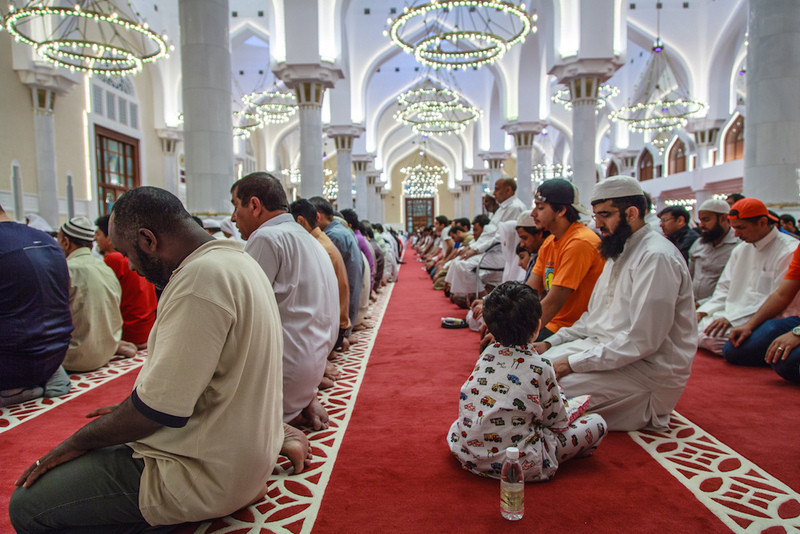 For non-Muslims to understand diversity among Muslims seems to be a leap too far. I stand in human solidarity with my Muslim neighbor because we are formed of the same primordial clay… [and] I stand in religious solidarity with Muslims because they, like me, a Christian, are people of the book. And as Pope Francis stated last week, we worship the same God. True, three major religions in the world have one God as their source. But is it the same God?